SHIPPING enthusiasts have launched an ambitious scheme to buy a former Royal Navy submarine and berth her on the Clyde as an exhibit. Sorry, you must sign in before you can print full articles. They are seeking to buy HMS Onyx, the last Oberon-class sub, and bring her back to Greenock, where the undersea craft was assembled. 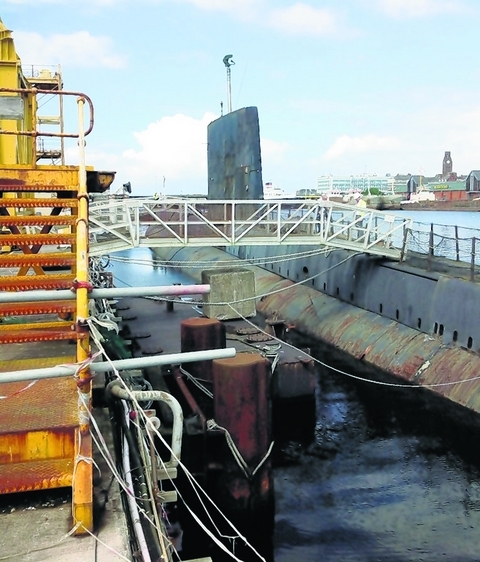 But since 2006 the sub has been languishing at Buccleuch Dock in Barrow-in-Furness, Cumbria, after being part of a plan to build a Submarine Heritage Centre which never materialised. 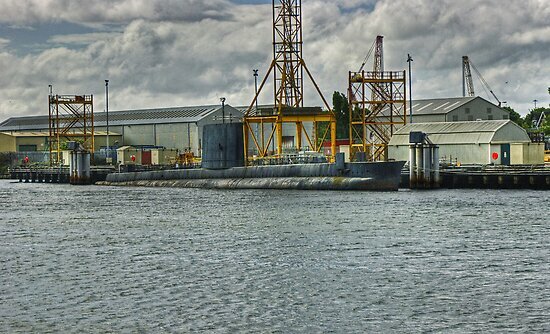 Eleven Oberon-class submarines were built at Scott’s Drydock in Greenock, six for Royal Australian Navy, three for Royal Navy and two which were purchased by Chile. The group members, which include former submariners, have been to inspect HMS Onyx and say she is in good enough condition to be put on display. A feasibility study is currently under way to establish if the plan could go ahead, while a number of local businessmen are backing the scheme. HMS Onyx saw action during the Falkland Islands conflict and helped smuggle members of the Special Boat Service into the warzone. The group’s spokesman, Bill Mutter, said: “Greenock has a proud heritage of shipbuilding but at the moment all it has to show for it is the (Paddle Steamer) ‘Comet’ and it is positioned in Port Glasgow. “Onyx is display ready, as for many years she was located in Liverpool and it was only due to harbour regeneration around 2007 that the then museum had to be broken up. He added he felt the old Scott’s Dry Dock would be the ideal location for Onyx as it was in this dock that the Oberons built by Scott’s were fitted out. He said the dock itself is also historic. This entry was posted in UK Submarines and tagged Greenock, HMS Onyx, museum, Submarine on April 22, 2014 by jasonlockley.